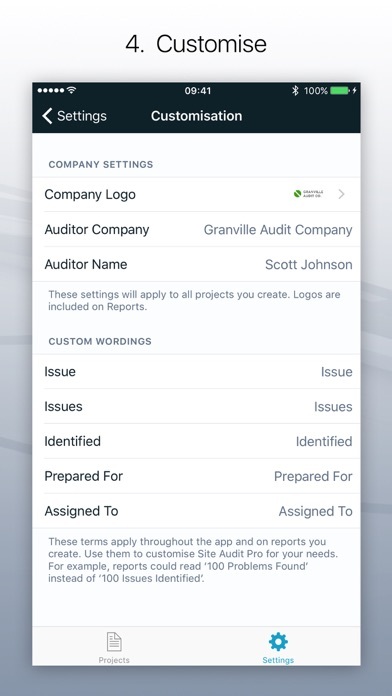 ‘The fastest way to audit on the go’ Site Audit Pro makes auditing simple. 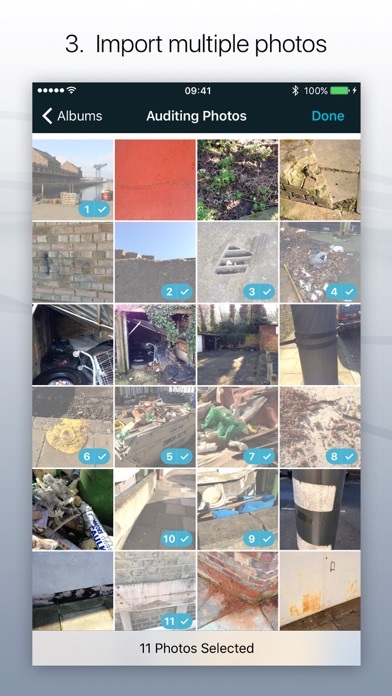 Record issues, take photos, add assignees and share customisable reports easier and faster than ever before. Site Audit Pro helps over 40,000 businesses worldwide improve their productivity by making audits and inspections quicker to carry out and easier to manage. 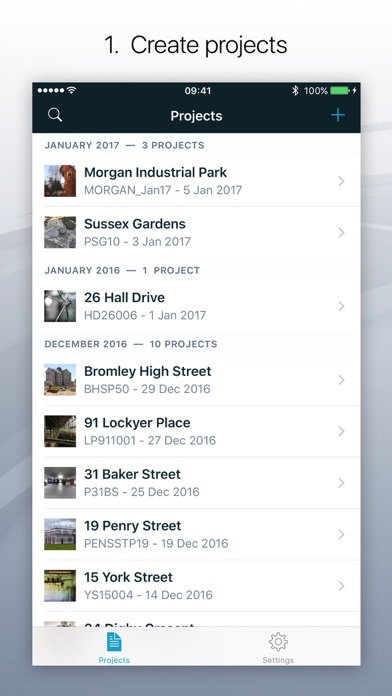 Whether performing a safety inspection, snagging issues, creating a punch list, or providing a quotation, Site Audit Pro will help you collate and share your findings on the go with customised reports to add a personal and professional touch. 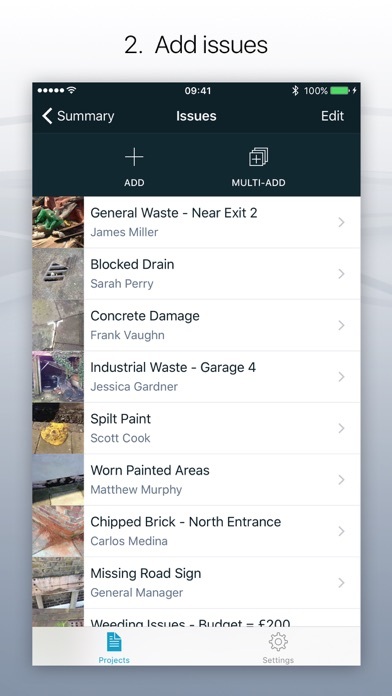 Features: - Record issues with a photo, add a title, assignee and comments. - Annotate photos to highlight important information. - Organise issues into projects, adding site and client details specific to each project. - Share a professional audit report instantly, without the need to head back to the office. Share your reports as a PDF via email, Dropbox, iTunes file sharing and more. - Print reports in an instant with AirPrint support Customise Site Audit Pro for you or your business: - Add personal details to your reports; include company name, logo, auditor name and signature. - Change the content to reflect your industry. Instead of ‘Identified 12 issues’, why not use ‘Found 12 problems’ or ‘Examined 12 properties’? Site Audit Pro is adaptable to a number of industries. - Choose from and customise a range of 8 professional report designs. 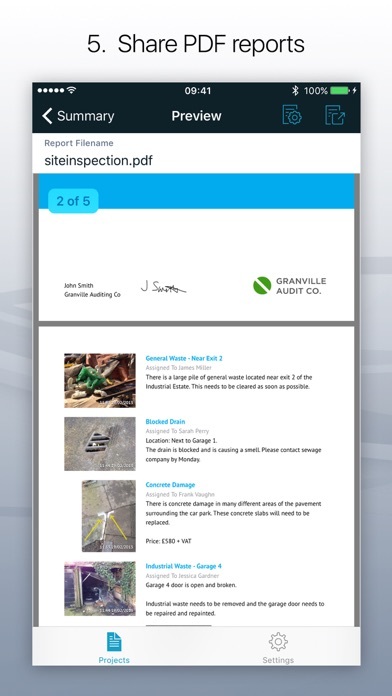 Site Audit Pro is great for: - Audits - Inspections - Punchlists / Punch Lists - Snagging - Site Walks - Checklists And so much more, whenever you need to capture and report important data, choose Site Audit Pro. Download Site Audit Pro today to save time, improve productivity and make audits and inspections organised and hassle-free. Loving how easy it is to create and then send the report. Helps me to keep track of work done, work missed and work assigned. Life saver. Being able to mark up the photos is another great feature. This is a super easy way to make notation on a photo to share. I was hoping to use this for punchlist of large projects but without a way to reference a set of construction plans, you can have hundreds of photos but it’s hard to communicate where it happens. For $17, I had hoped it would be more comprehensive and of a “professional” tool. This is an excellent program 👍. Pleeeeeeeaaaaasse make it possible to add more than a single picture to an issue. Great app that is easy to use! This a great app for those who have a working knowledge of the various regulations (OSHA, EPA, etc.). I can create a report on the fly or do final edits on my laptop. Needs updating, it won't email from my phone only my tablet. You need work on projects that require picture and descriptions. Great auditing tool, easy to use. I do wish that it had an means for those assigned issues to reply with corrective actions and date completed. Spent $16.99 plus tax for a useless app! Enough said!